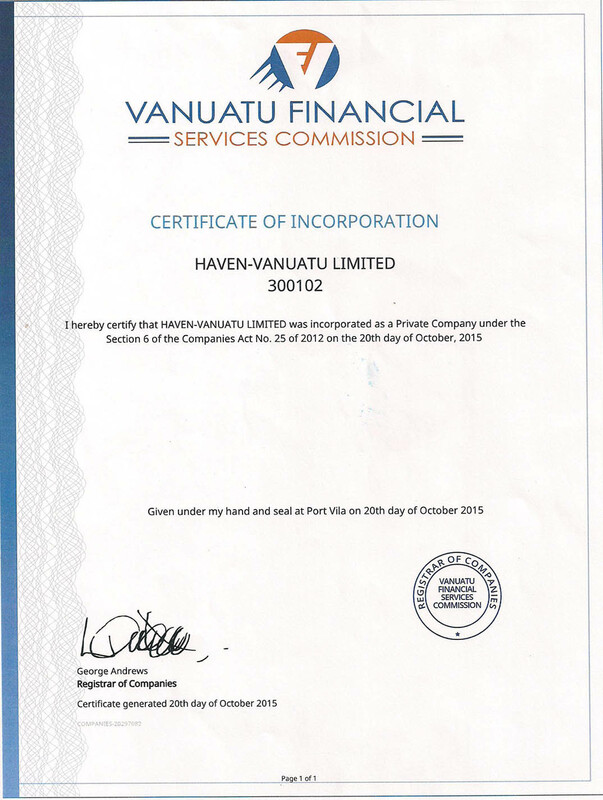 Haven-Vanuatu Limited is a company that has been established as an indigenous consultancy that will facilitate credible and viable solutions to challenges by identifying opportunities and drawing on a wide network of experience, expertise, capabilities and capacities to develop and strengthen indigenous individuals, groups, communities and business potential that will facilitate the development and empowerment of the Republic of Vanuatu as a Nation and its People. The company was established after the advent of the disastrous Tropical Cyclone Pam earlier this year and the ongoing impact of the El Nino climatic conditions which have affected the Republic of Vanuatu in a manner whereby the arena from which the sourcing of resources, capabilities and capacities required to overcome the challenges, needed to be broadened beyond current efforts. 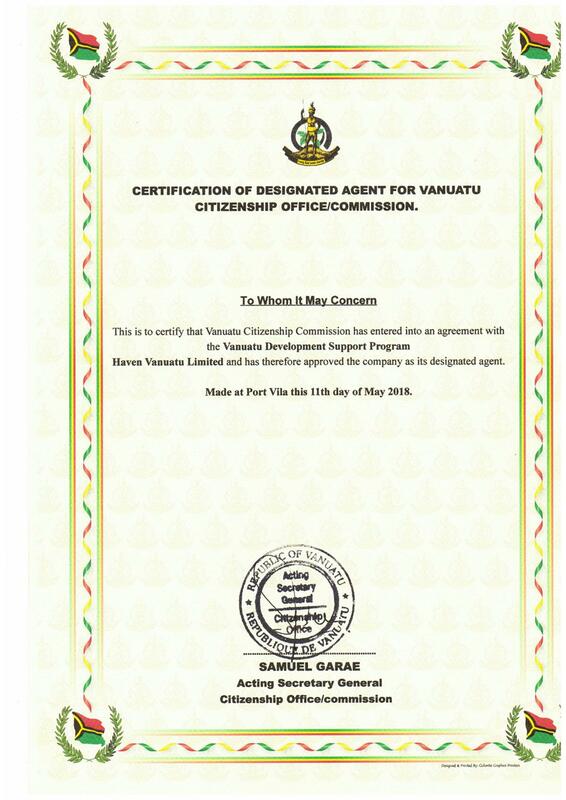 The company has been established to be a link between the outside world and Vanuatu and intends to try and attract foreign investment interest and aid assistance to Vanuatu from non-traditional sources and to compete in an arena where Ni-Vanuatu entities rarely enter in the global market place. 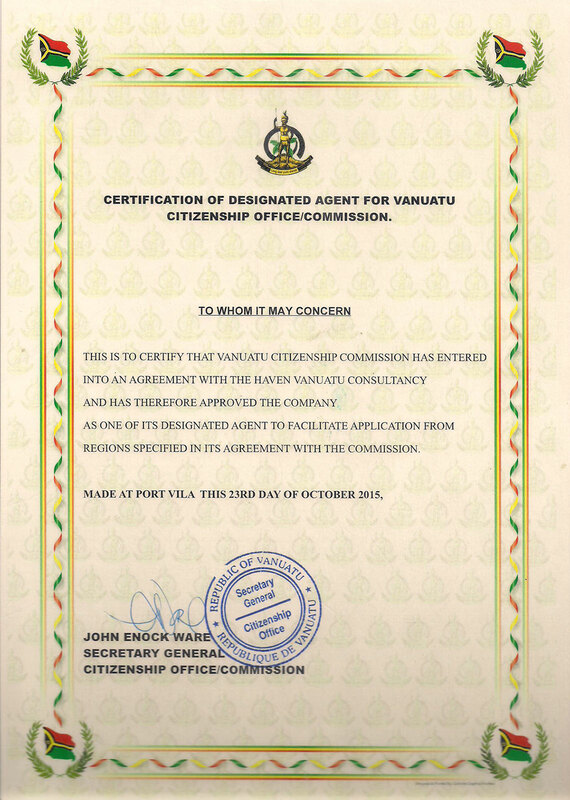 In furtherance of this objective, Haven-Vanuatu Limited has entered into an agreement with the Vanuatu Citizenship Commission – an independent statutory institution operating under its own Act of Parliament & its Citizenship Office, to be the Designated Agent for the Citizenship Commission for the global regions of Europe, the Americas and Oceania. The Charity arm of Haven-Vanuatu Limited is Hope(Vanuatu) Charity and its role is to identify and implement projects and initiatives which is intended to bring about beneficial improvements and real changes to people’s lives in the urban and rural sectors of Vanuatu. It is intended that the work of Hope (Vanuatu) Charity will complement and assist government initiatives in these sectors. The principle shareholder has been and continues to be involved in advising indigenous land owners in the development and improvement of their traditional assets and assisting foreign investors in their proposed investment initiatives in the Republic of Vanuatu as well as advising government and promoting charitable initiatives that may benefit Vanuatu and its people. Haven-Vanuatu Limited’s aim is to be the conduit for safe haven by empowering Ni-Vanuatu seeking opportunities for a better life and for those from other lands wanting to be associated with or be a part of Vanuatu’s future direction and destiny. VRP-MENA LTD is our sister company and worldwide authorized agent for the Development Support Program.